The reigning WSL 1 champions have added two more players to bolster their already quality squad ahead of the new 2016 season. 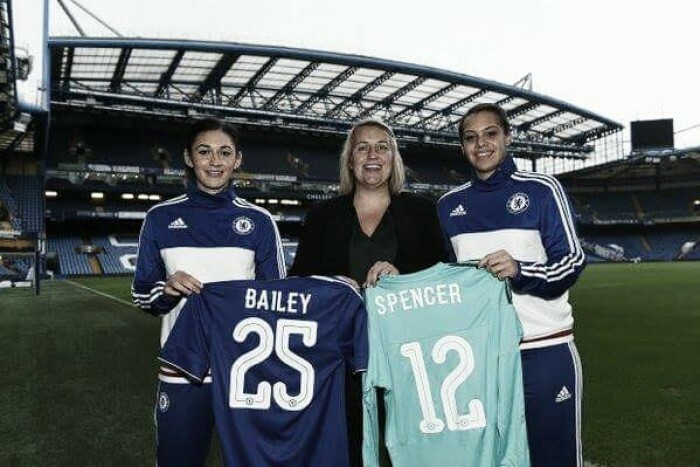 Chelsea Ladies have completed the signings of Jade Bailey and Becky Spencer. The Blues, who won the WSL 1 and FA Women's Cup in 2015, are preparing well for the 2016 season, having already signed Karen Carney from Birmingham City. Now, Spencer has followed Carney to London from the Midlands, whilst Bailey makes the short trip to the club from North London, where she was turning out for local rivals Arsenal. With teams around them strengthening to challenge them in the upcoming campaign, this transfer window is important for Chelsea, with the signing of Carney a huge one. Now, they have added to their squad in order to challenge on all four fronts though, with Spencer to provide back-up to Hedvig Lindahl after the departure of Marie Hourihan, the second-choice stopper leaving for Manchester City. Speaking about her move to Chelsea's official website, the former Birmingham stopper called it an "exciting" one, with "the opportunity" to be part of such a great team "too good to turn down." Bailey will also add depth in midfield, with her departure from Arsenal something of a surprise after she made eight starts in the league last season, as well as coming off the bench four times. Chelsea have weakened in this area though too, losing Laura Coombs, who joined Liverpool on loan. 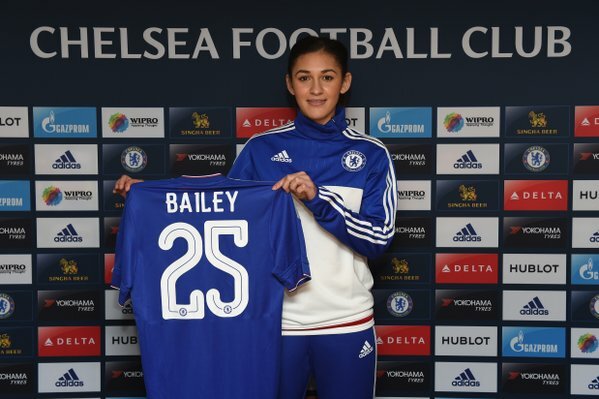 "I want to develop my game," Bailey explained, saying that Chelsea can give her "the chance to do exactly that." She also described the set-up at the club as "ideal" and is raring to go. Manager Emma Hayes also spoke about the transfers, heaping praise upon both players. She explained that Spencer is at the club to "compete" with Lindahl, which can help to push each stopper to their very best. She believes the 24-year-old "has developed into a top goalkeeper" and that she has the "desire to reach the next level in her career." Bailey, on the other hand, is a player Hayes has admired "for some time" and one who has "fantastic experience," despite being just 20-years-old. "I want homegrown, English players who want to grow with us," Hayes explained, and she believes Bailey is one of them. She sees the midfielder being able to learn from the "top players" around her, allowing her to "take her game forward." "She is up for the challenge" of competing "for a spot in midfield," the manager added, whilst she can also provide cover in defence, such is her versatility.